Time to welcome our students back into our libraries, back to our shelves, back to our books!! I am sure that librarians everywhere are readying their proverbial bag of tricks; you know, that one we use to teach our kiddos about library book care. I actually have a REAL bag of tricks! It's my daughter's old battered purple book bag, and it is full of objects that should remind students of a book care rule: a dog's leash, a baby bottle, a box of crayons, an empty pudding cup, a water bottle, and a plastic bag. In my introductory book care lesson, I encourage my firsties to be brave and stick their hands deep into my bag. As their arm goes in, I may pretend that the book bag is eating their arm and that they should avoid the slithering snake inside. Hey, it keeps things interesting! As they safely pull out their object, together we review the book rule that goes along with that object. BUT, I am ready for a change. I need to shake things up a bit. So, as any good standing librarian would, I set to scouring the Internet and researching on Pinterest. I stumbled upon several interesting ideas. I also discovered that there are tons of innovative and energetic librarians out there!! 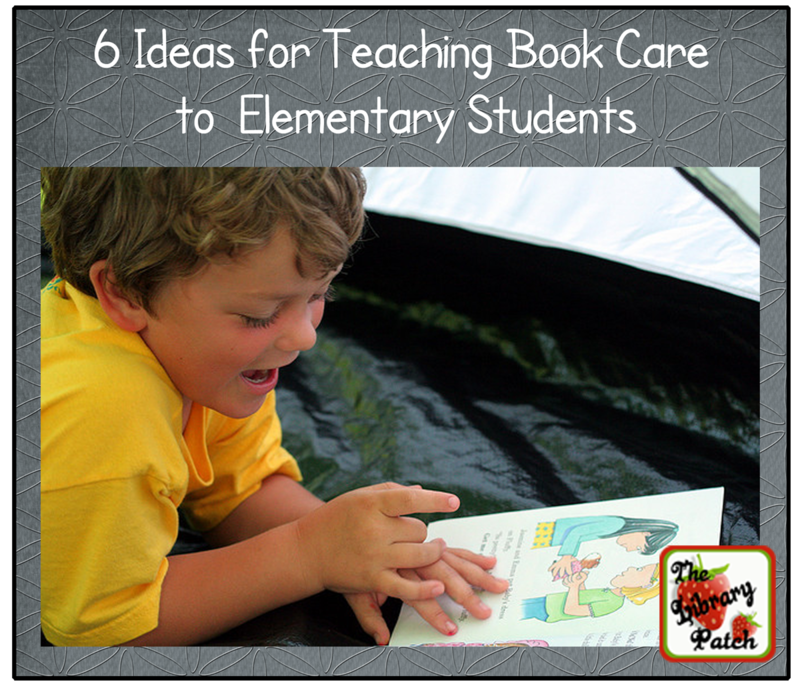 Here is a quick collection of six ideas for teaching book care. Wait a minute ... the purple people eating book bag is also an idea, so that's really like SEVEN ideas. This video may be a few years old, but The Pigeon is truly timeless, and this clever video is quite hilarious. At three and half minutes, you can easily find the time to include it in any book care lesson. If you have spent any time on Pinterest, you have most likely seen this picture of the librarian who dresses up as Dr. Evil. She engages the kids in an activity in which they have green happy and red unhappy faces and they display the correct face for the action that she is taking. I LOVE this picture. It just makes me giggle. I was able to find it on a wikispace titled Adventures in Librarying. You can read more about her lesson HERE. If you happen to be Dr. Evil, I would love to hear from you and give you the props that you deserve! Do a quick Google search of that title. Go ahead. You will find a number of very fun and FREE Powerpoint Presentations and Prezis made by some fellow librarians. This concept is based on the book Animals Should Definitely Not Wear Clothing by Judi Barrett. This could really be an entertaining lesson! Just think of all the ridiculous things that could happen to books when certain animals borrow them. We ALL know what happens to books when a dog gets ahold of them. Grrr! I have used this book EVERY year with my kindergarten students. It really is perfect for an introduction to book care. 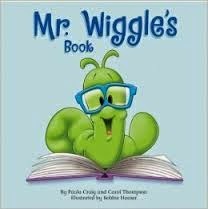 Mr. Wiggles is quite sad about all of the negative things that can happen to library books. There are a number of bookmarks, posters, and activities online revolving around this little worm. (5) No! No! Never! Yes of Course! There are many great variations of this theme. They generally revolve around a type of sorting activity. Students sort pictures of book behaviors into the No! No! or the Yes! categories. You could use printed pictures of objects and activities or create a digital version for the Smart Board. Check the Smart Exchange for a few that librarians have uploaded. This year, I am decorating the library with a beach theme, Reading is a Shore Thing. I can't wait to get into my library and start decorating. I have a whole Pinterest Board full of ideas. As I was looking at Book Care Lessons, I was trying to find one that would fit my beach theme. I couldn't quite find one that would fit the bill! So I created one. Kids love pirates! To really engage my first and second graders, I am going to make some eye patches out of black craft foam and rubber bands. As they come into the library for the first time this year, I will distribute them and let them wear one for the lesson. How fun is that? I put together this Powerpoint Presentation. 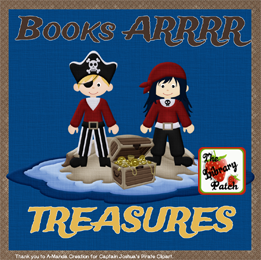 The premise is that there are ten different book behaviors on the pirate scrolls. As I read each behavior, the students will yell "AYE" or "AVAST" depending on whether the book behavior is positive or negative. Can it get any better than wearing an eye patch AND yelling in the library? After we complete our Powerpoint Presentation, I have created this little mini book for us to work on together. Each student will get their own copy, and I will read it with them. 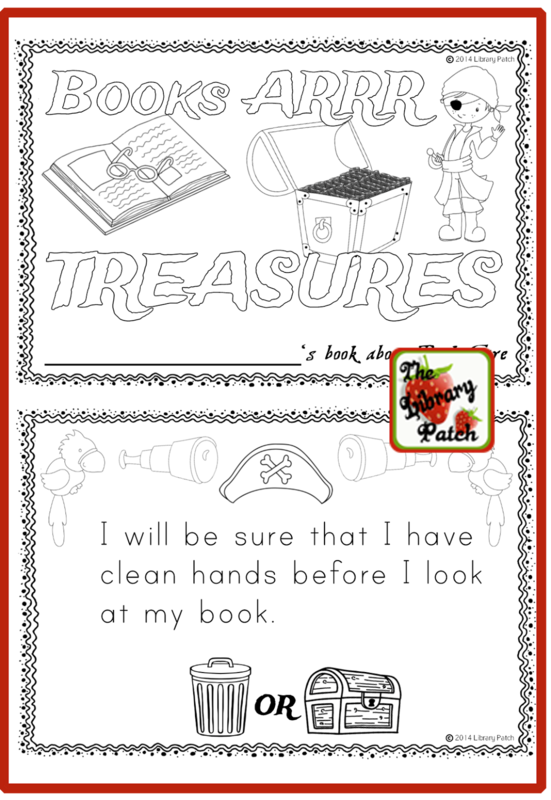 As I read the book care behavior, they will color the trash can or the treasure chest, depending on whether the behavior is a good one or a bad one. It will make for a quick assessment. Feel free to adapt this concept to your own library lesson on book care!! 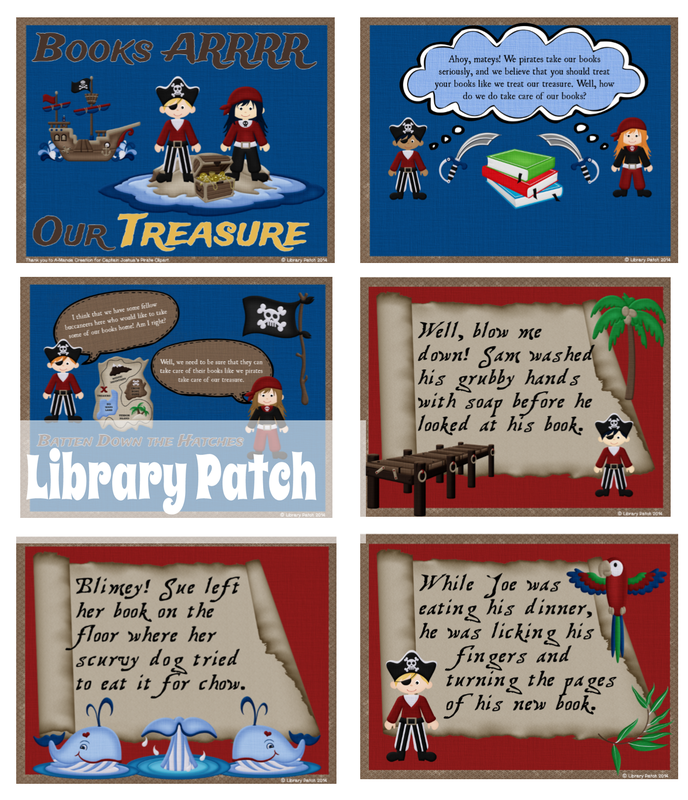 If you'd like to save yourself a bit of time, you can click on any of the pirate pix above to purchase the prepared lesson at Teachers Pay Teachers. If you are a fellow blogger, I would love you to link up a blog post that you may have written about how you review book care with your kiddos. Let's help each other get our Back to the Library Groove on. AARRR!